In order to protect people, property and stock in its offices and warehousing facility, Net World Sports uses Honeywell Gent life state-of-the-art safety solutions. Alex Lovén started Net World Sports in his bedroom in 2009 and since then the company’s sales of sports equipment to families, schools and even Premier League football clubs has achieved revenues of more than £18M. 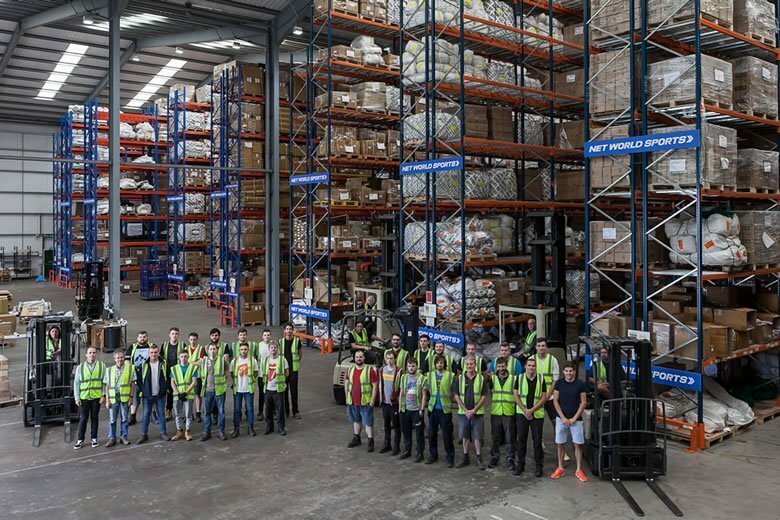 With seven international websites, Net World Sports operates from a 120,000ft2 warehouse facility comprising two large and six smaller buildings as well as a suite of offices, supplying customers with the highest quality products in the quickest time and at the most affordable prices. The company now has over 5,000 products in stock – covering sports as diverse as football, cricket, tennis, baseball, rugby, golf and lacrosse – which are sent to over 100 countries worldwide, with more than 50 per cent of sales coming from overseas. Barlows is a family run business, which was established in 1948 as a small electrical repair shop in the village of Malpas, Cheshire, where it is still headquartered. With three additional offices in Manchester, High Wycombe and Lancaster, over 400 directly employed staff and a fleet of over 250 vehicles, its specialist fire and security division has 25 years’ experience in providing life safety solutions to homes and businesses. After assessing all the available options it was decided that the project required a BS 5839 compliant category L1 addressable fire detection system. An L1 system is designed for the protection of life and deploys automatic detectors throughout all areas of the building – including roof spaces and voids. It gives the earliest possible warning of fire and makes sure that there is sufficient time for escape, so as to reduce the possibility of death or injury. The system also had to be P1 compliant to protect the fabric of the entire site and summon the emergency services in the early stages of a fire, in order to minimise the time between ignition and arrival. Given how quickly the company has grown, the Barlows Fire & Security team wanted to install a system that could be flexible and meet Net World Sports’ needs both now and in the future. S-Quad was the first intelligent loop powered multifunctional device to include a sensor, sounder, speech and visual alarm. 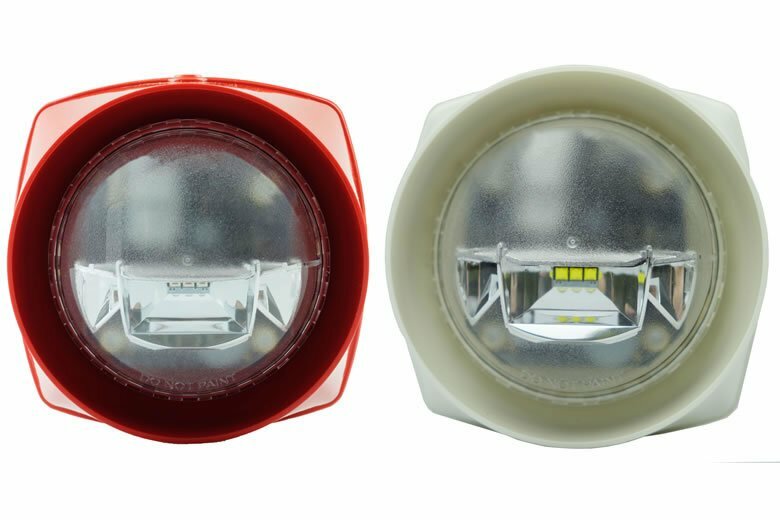 Four separate sensing elements – heat, carbon monoxide, and dual angle optical forward and backward scatter – achieve local processing in the sensor and the panel and offer the best level of reliability and prevention of unwanted alarms. In addition to a wide variety of S-Quad devices, products from Honeywell Gent’s low current S-Cubed alarm devices where also installed. Offering loop powered, integrated sound, speech and a fully certified EN54-23 class leading visual alarm, S-Cubed is the most efficient loop powered sounder in the industry and its use means that a whole loop of sounders can be powered without the need for additional power supplies. While traditional point detectors are the most suitable option for many applications, for high buildings such as the warehouses at Net World Sports, they were not an option. Barlows Fire & Security therefore specified and installed 14 of Honeywell Gent’s S-Quad beam detectors, which can be installed at heights of up to 25m, to provide linear beam detection.